1.Sip a cocktail at one of Seminyak’s trendy beach club. Seminyak’s spectacular coastline is home to amazing chilling out spots, drinking a bintang beer in one of those is a must in Bali! Ku De Ta is the fancy place to be and also must be included to your Bali bucket list, filled up with tourists and expats alike the place boasts some of the most happening parties on the island. 2. Cycle through Ubud’s surroundings, its villages and ricefields. Cycling in Ubud will let you experience an authentic side of Bali. 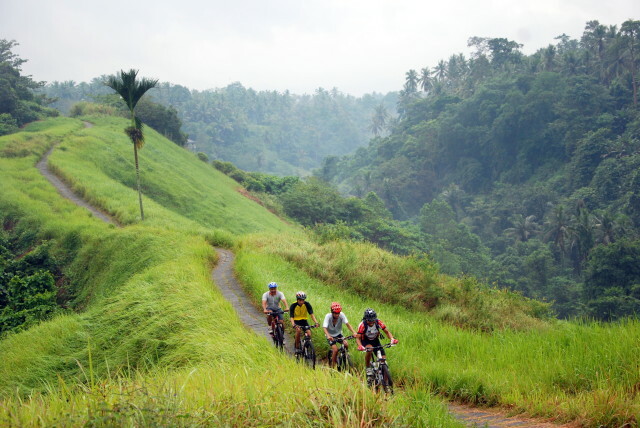 Most cycling tours in Bali are downhill which doesn’t require you to be an athlete. You may pass by Ubud’s fascinating countryside, stay captivated by its ricefield terraces and interact with some of the most friendly locals you’ll ever meet in Bali. Definitely a must do in Bali!. 3. Learn Surfing in Legian and Kuta Beach. 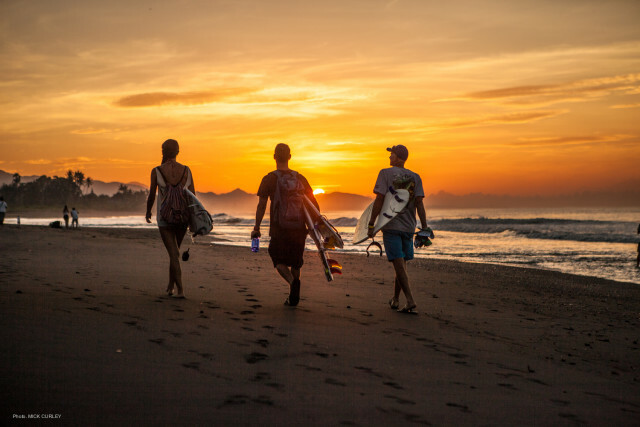 Perfect waves, friendly crowd and good parties make Bali the surf Mecca of Asia, you will be surrounded by surfers in Bali, and this is also the right opportunity for you to get your feet wet! Do not try surfing anywhere in Bali as many surf spots are hiding sharp corals underneath. Kuta and Legian are definitely the most welcoming spots for beginners, and you must enjoy a Bintang beer afterwards. One of the most beautiful sunrise in Bali is from the summit of the Mount Batur standing at 1700 meters. 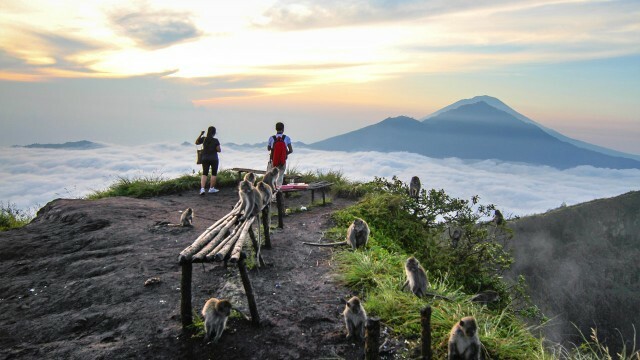 The active volcano is the most popular trek in Bali and you can access the summit by two different routes, the sunrise path (11Km) is relatively an easy climb which makes it ideal trek for the first time climbers! 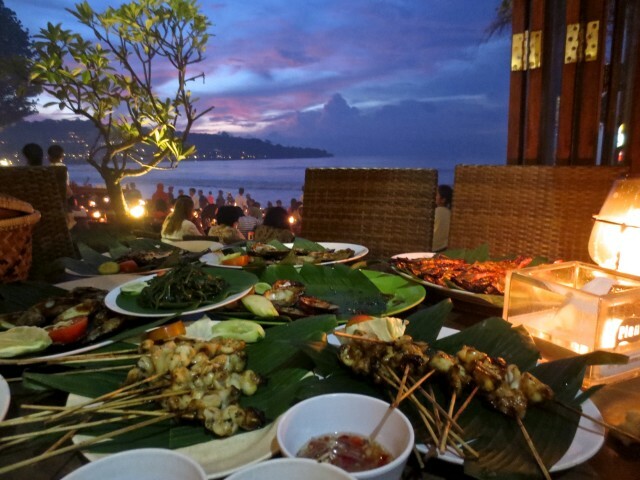 Embark on a food tasting journey with Bali Food Safari. 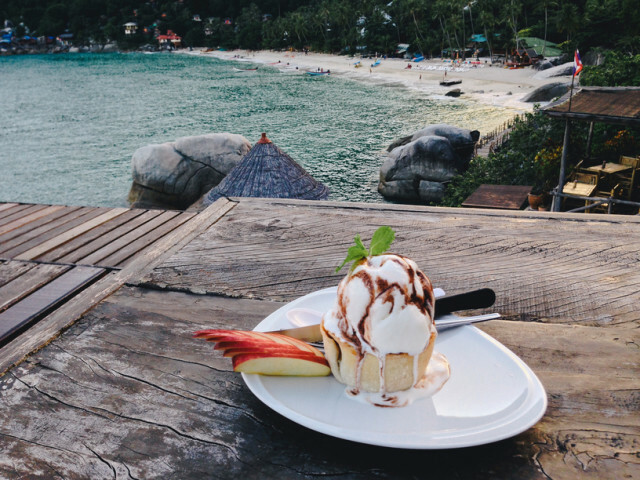 This unique concept of progressive dinner will surprise you and your friends as you will get a snapshot of 4 reputable restaurants where you must eat in Bali. Secret locations revealed on the evening itself! Get the chance to taste up to 12 dishes in four locations revealed at the last minute. Just make sure to bring an empty stomach! 7. Explore the wilder side of Bali in Lembongan & Ceningan. Less than an hour ferry from Sanur awaits you the beautiful Nusa Lembongan and its sisters Ceningan and Penida. These 3 islands are home to unspoilt nature, world class snorkeling and diving, and a rich fauna and flora. 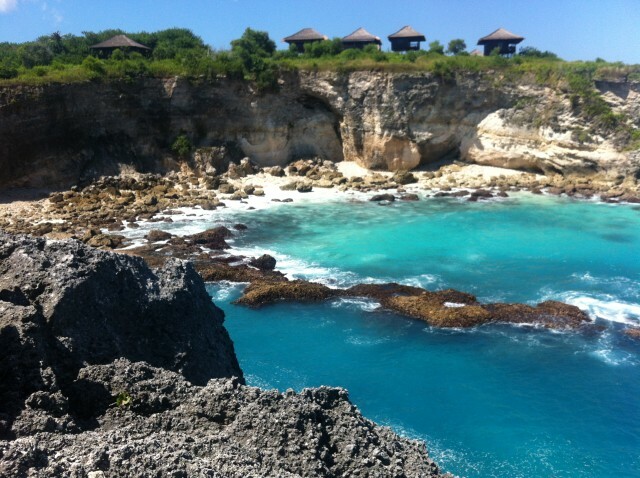 Nusa Lembongan is tourist friendly, while Nusa Penida is still virgin and worth to be explored!. 8. 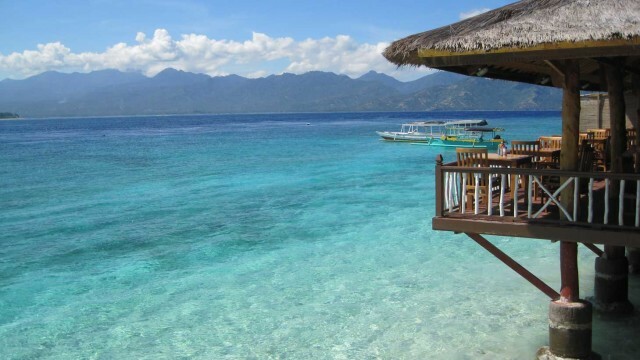 Honeymooners & beachgoers, the Gili islands are waiting for you. Enjoy life at a slow pace and move around whether by horses or cycling. 9. 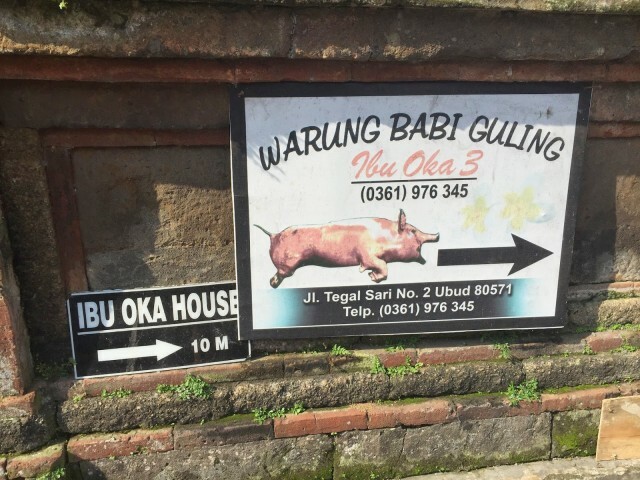 Taste “Babi Guling” at Ibu Oka or “Sate Lilit” in a local Warung. “Babi Guling” or Roasted suckling pig in English is Balis’ most iconic dish and the kitchen of Ibu Oka in Ubud is one of the popular place that cooks it the best. Prepare your taste buds as the flavours are truly explosive! Another dish that you must eat in Bali is the “Sate Lilit”, which is made of some minced meat (chicken, beef .. ) rolled around a lemongrass stick, another unique flavour that will make you love Balinese food! 10. Taste sumptuous Balinese dishes at the Future Fair Foundation. 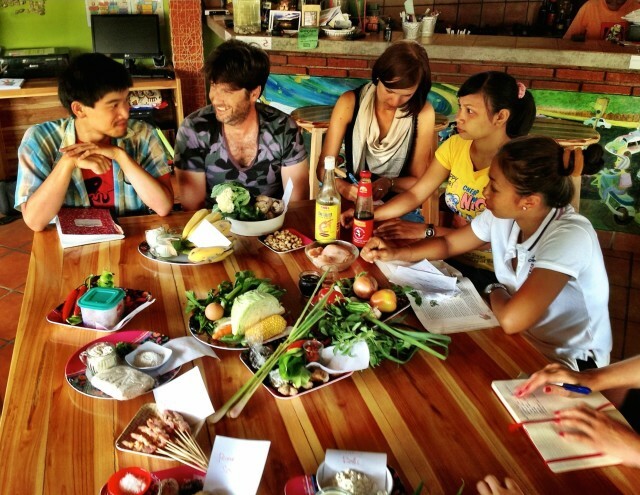 The Fair Future Foundation is not like any other restaurant or cooking school. First of all, this is one of the best restaurant you can find in Ubud (No 2 on Trip Advisor with over 1,500 excellent reviews). Secondly, 100% of their profit goes to a NGO that provides free healthcare to local people in need. 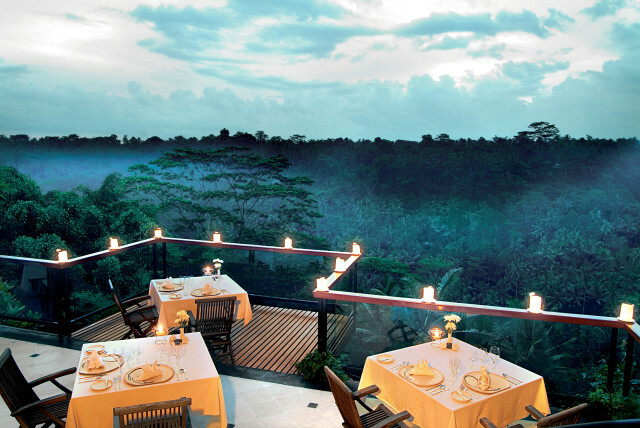 We highly recommend this restaurant where you must eat in Bali. 11. 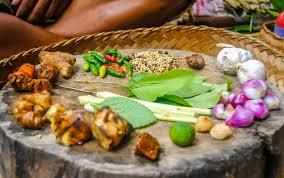 Take part to one of the colourful cooking classes in Bali. Fresh and exotic local ingredients, different level of spiciness, colourful plates, and of course friendly Balinese Chefs will make your Bali cooking class an unforgettable experience in Bali. Lying 300 meters off the shore, the Tanah Lot temple is sitting majestically up a volcanic rock. Take some of the most beautiful sunset shots as the sun disappears in the sea. 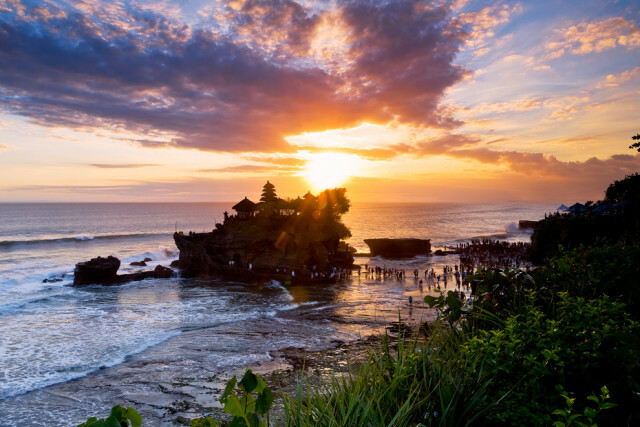 This is a paradise for photographers and the place gets quickly crowded so make sure to arrive early and get the perfect angle to snap a picture of one of Bali’s best sunset. 15. 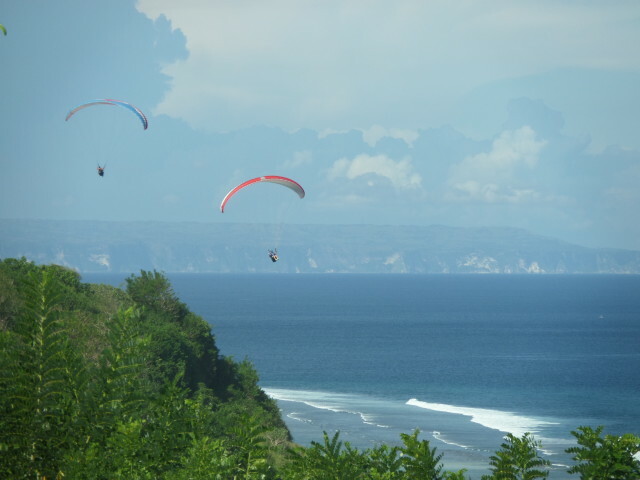 Feel the thrill of Paragliding in Bali! If you like the idea of freedom and always wanted to fly, you should definitely experience paragliding at the Timbis flying site, located in South Bali. Drift from the sky over Pandawa beach and admire Bali from a bird’s eye view. 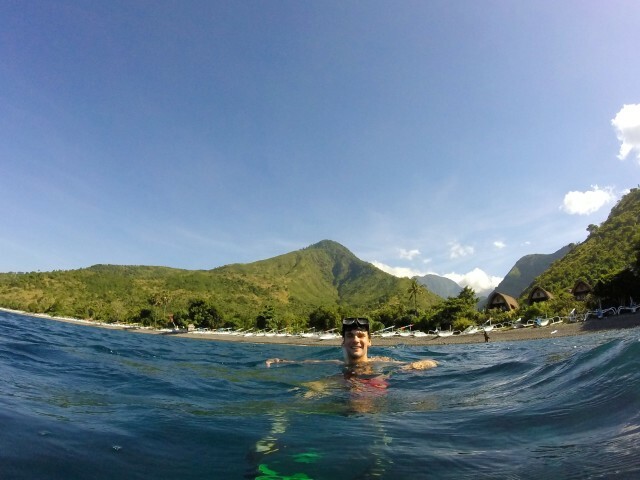 Bring your gopro with you and start shooting your best holiday pics ever ! 16. Dine with your loved one over a romantic Balinese setting. In the heart of rice field paddies, by an infinity pool atop lush green jungle, or in a tent by the beach, Bali and its hosts will surprise you by the romantic experiences they can offer you. 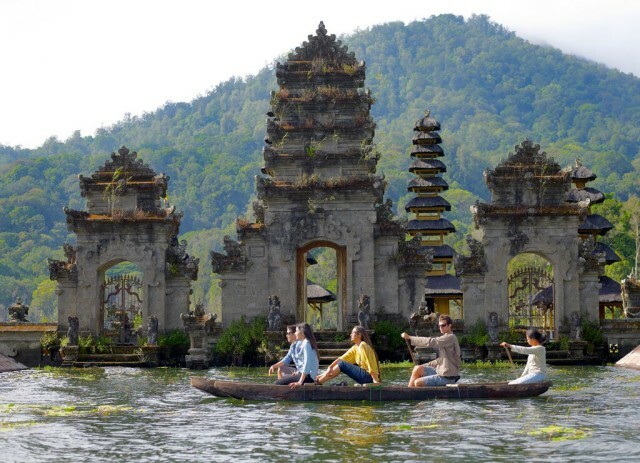 Bali is probably one of the most romantic destination in the world and you will understand why. 17. 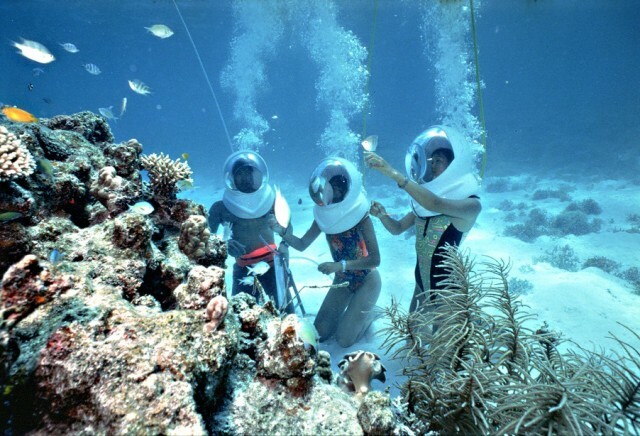 Walk at the bottom of the sea in Sanur, with a Sea Walker helmet. 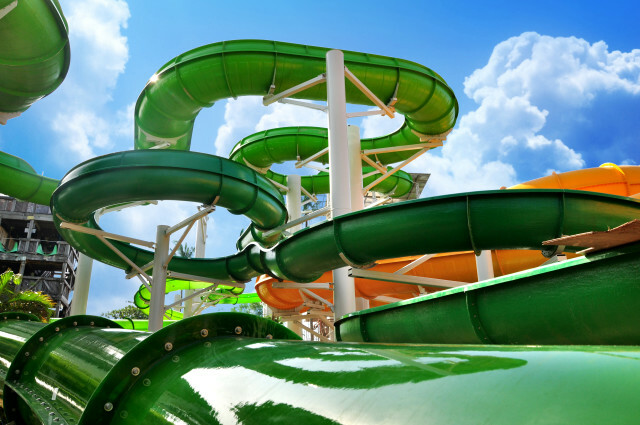 Dare to ride the biggest water slides of Waterbom – the #1 water theme park in Asia. Often described as an oasis in the middle of the famous Kuta stretch, Waterbom Bali offers great rides and many different attractions. Enjoy a day of fun in the sun or relaxation in the shade. A must do in Bali for families ! Animal lovers should also wander at the Bali Zoo that offers great family packages, or in the Bali Safari & Marine Park to get close encounter with animals from the Indonesian fauna and flora. Lastly, you should not miss a sunrise cruise in Lovina to witness the dolphins dancing in the sea. Whether you prefer, you’ll find here all the animal encounters experiences in Bali. Be inspired as you wander around Ubud’s ricefields and artsy places. 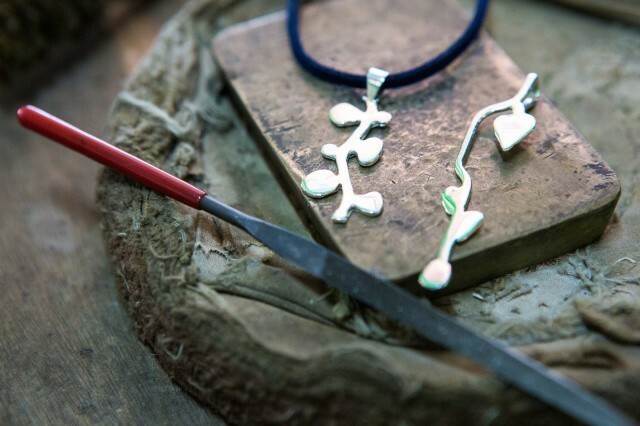 Bring an handmade souvenir from Bali, from silver jewelleries to homemade beauty products, or stone carving, you will find an infinity of creative workshops in the area of Ubud. 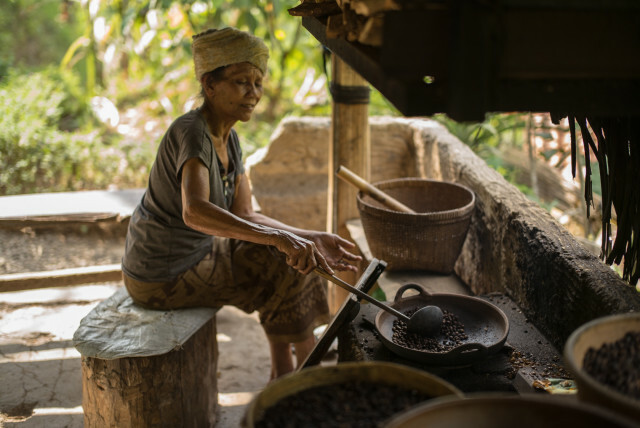 Kopi Luwak is made from coffee beans that has not bean digested from the civet or luwak, that is a curious process on how to make coffee but the taste is there, and this is also the Bali’s most expensive coffee cup. Check it out! 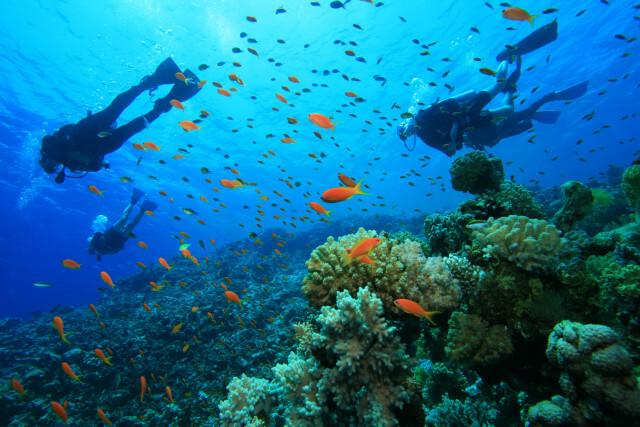 The island of Gods is home to a dozen of a world known diving spots. Shipwrecks, coral reefs, and colourful marine life are awaiting for you at the diving spots of Tulamben, Padang Bai, Amed, Penida & Nusa Lembongan. Pemuteran also offers the possibility of diving into underwater temples, while Amed might be to place to choose if you are a beginner and want to take your first scuba diving lesson in Bali, or even get your PADI certifiction in 3 days course. Devdans is the must see show in Bali, you will be introduced to the colourful cultures and dances of several regions of Indonesia from Papua to Java, passing by Sumatra and Bali. The 90 minutes show is rhythm by dances and acrobatics and makes it an entertaining experience for everyone travelling to Bali. 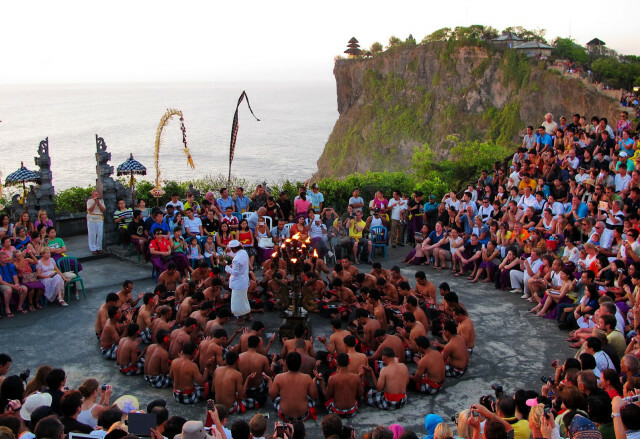 oga is part of the Balinese Hindu culture and has been the place of some of the most mystical yoga retreats for decades. Ubud is definitely the yoga headquarter of Bali, but recently yoga centers extended to many other areas of Bali. You should visit Radiantly Alive, or Yoga Barns in Ubud, Desa Seni Yoga in Canggu, and Prana Spa in Seminyak. 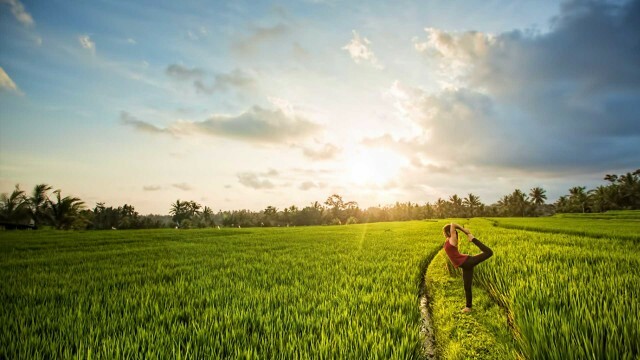 Attending a yoga class in Bali should be on your checklist as the vibrant Bali yoga culture will provide you a totally new experience from what you could have done previously. Get introduced to the yoga culture in Bali with this dull day yoga & wellness experience in Canggu. Hope you’ve enjoyed this Bali blog post and that you’ll discover soon all of this with your own eyes! The eOasia team would be more than happy to help you planning your itinerary in Bali and giving you additional recommendations if needed. Do not hesitate to contact us at support@eoasia.com and please leave your comments if you know of any other must do, must see or must eat in Bali. We look forward to hear from you!